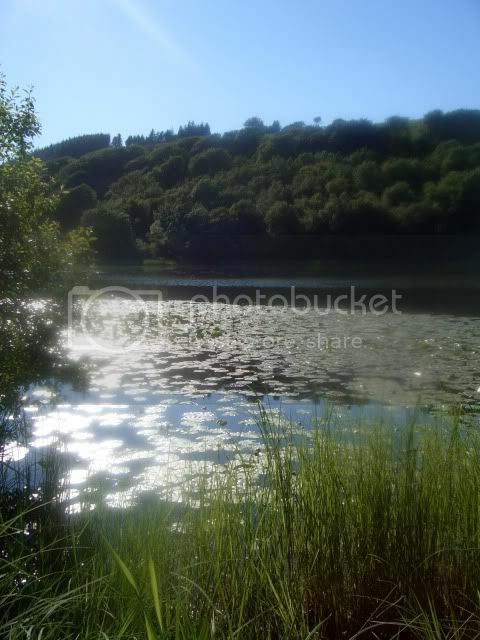 Loch Libo, Uplawmoor, East Renfrewshire. 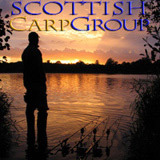 Scottish Carp Group members only. no shortcuts across the railway line at any other place! both SCG websites and also available from some tackle shops. Mirror and common carp, tench, pike, perch, roach and eels. Shoreline measures 0.9 miles and surface area is 21.3 acres. Loch Libo 395 feet above sea level. Loch Libo has SSSI status. A site of special scientific interest. to pictures of them in the links section below. The area is also important for wildfowl and for woodland birds in the bordering woodland area. Miles to Loch Libo (approx.) Central Glasgow 15, Central Edinburgh 60. More info for SCG waters is on the SCG Website in the 'Water Guideâ€™ sections. cause a map of the water to appear. We cannot accept responsibility for inaccurate info on this guide. track of the water and stock via catch reports etc. Please contribute. photos & info to help promote the water. Estimated carp numbers from 50 to a lot more than that. some up (if there is any) and put it in a bin. a level that can make fishing difficult or even impossible. it's the carp instead of the usual pike they were after. for set lines by checking the margins and any place set lines can be tied to. The local Police have been informed and said they would keep an eye on the water! But if anyone is caught they can take action, as it is an offence. capture of just under twenty pounds. least two 20â€™s have been caught this year, possibly more." Quote " 20lb+ mirror carp crashed." at 8lb, 10lb, 11.5lb, 12.5lb, 8.5lb, 12lb and also lost some. 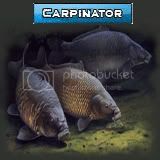 Another angler has had 1 carp @ 11.5lb + 1 pike @ 10lb. Quote " It's a water that holds a few lumps! I saw a few fish around 2002 & all were 20lb+." Quote " best head of big tench of any water in Scotland. of piking then you can have some great sport." really bad unless you are prepared to use a rake." in the weed by using cheep swan friendly food." Quote " I've caught carp on top of the subsurface weed." Quote " All swims have produced carp runs and captures." front of the centre of the railway bank swim." 2lb plus and an excellent head of perch." down through the woods down to the loch." Quote " If this water was in Kent it would be getting a lot of angling pressure!" 1 tiddler judging by scars on some of the smaller fish there is something much bigger!" Quote " I have had pike up to 12lb but another member has had an 18lber. It has a lot of jacks and some huge eels." no weight and the pike find it no problems on top of the weed. I have also done well with sink and draw." Quote " I fished Loch Libo for over 25 years. A truly satisfactory experience. early morning so it fishes best through an overnighter. you know the type of bottom you are presenting to. Bottom baits are good near the lilies. Car security is best in the village of Uplawmoor then cut down through the woods. very big tench if you use fruity flavoured boilies." the odd double great fun and at night the bats are fun to watch catching the moths." Quote " The family of resident swans rarely come near me." Quote " I've had carp eat floaters on Loch Libo." due to wave action against this margin. I caught my first carp on this spot on a marine halibut popup." worthwhile taking into account that birdlife will feed on it." Links to other web pages. If the links donâ€™t work by clicking on them then try to paste it into a browser. Loch le Bog Syde in a charter, meaning the Bogside Loch. â€œIn figure nearly an oval, contains about 16 acres in length and 14 in breadth. Its depth is unknown; but it is very considerable in the centre. teal-duck, swimming and fishing upon it, give it animation. The Caldwell Tower 'Folly' near Uplawmoor. down from the original. Caldwell House was the Mure family home until 1909.
buildings are 200-300 years old. Coal was found at the south end of Loch Libo about 1780.
decided to go down the mine for a look-see, when the water poured in. It was reopened around 1830 as the Loch Coal Co.
nothing now remains of the workings. The bodies were never recovered. Google Books using â€˜Loch Liboâ€™ and â€˜lochliboâ€™ as searches. the ancient estate of the Earl of Eglinton. Pheasant, Owls, Grasshopper Warbler and Reed Bunting. Common Toad, Smooth and Palmate Newts, Water Vole and Bats. Neilston, which is 3 miles from Loch Libo. is a bit further away than Neilston. the operator it's on 'the low road' at Uplawmoor. Local police stations... Barrhead Police Office, Main Street, Barrhead, G78 1ST. Neilston Police Office, School Road, Main Street, Neilston, Glasgow, G78 8ED. Thanks to everyone who posted info on forums. Last edited by Denis on 19 Nov 2008, 21:54, edited 1 time in total. Location: Educating Esoxian on the virtues of passive verbal communication toward people with canoes..
this is all the info I could find about the loch. I never realised when I first started this that so much info was available about Loch Libo. is good to know if you like that kind of thing. There is also a tale about a boat called Lochlibo, but I never added it. using a small handheld computer. some of the other waters but it is alot of work but it is fun putting it together. give them a better chance of getting in a position of getting fish. I used to wonder about that tower also. Thanks for your hard work putting the info on Libo together Dennis..an interesting read which will certainly help folks catch fish..going by the quotes from other anglers you've amassed..Thats one on my list of new places to visit next year..and I for one feel better informed re Libo than I did before your post..Well done..and thanks again..